Tha Poilis na h-Alba air leigeal fhaicinn gun deach fear à Yeovil ann an Somerset a bha a dhìth, a lorg. 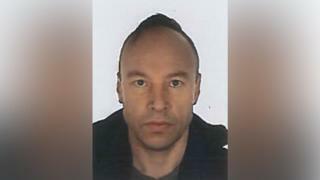 Bha dùil gun robh Jason Brightwell Smith, 43, air a bhi anns an sgìre timcheal Inbhir Theòrsa. Ann am bràth-naidheachd feasgar Dhisathairne, thuirt na polais gu robh Mghr Brightwell Smith slàn agus sàbhailte. Thug iad taing don phoball airson an cuideachadh.